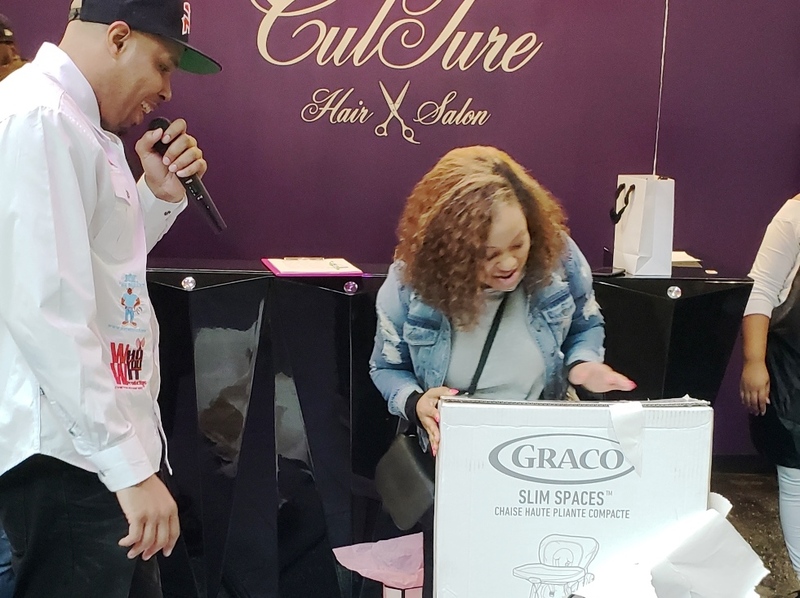 Positive American Youth & Culture Hair Salon joined up to "Roll Out The Red Carpet" for new moms and ladies in need of a little pampering, Pre-Valentines day weekend. Ladies were provided tons of free salon services, chocolate strawberries, fruit, beverages and sweet treats. New moms walked away with brand new baby furniture! The event was hosted by Reec of Hot 107.9 and music by DJ Deceptacon. This mini event sets a nice back drop to an upcoming event that Positive American Youth will be putting on in May labeled "Reec's Mega Baby Shower". The Mega Baby Shower will provide 1,007 New moms with gifts and resources!